This book is divided into five main parts: plantation forestry in context; forest growth dynamics and assessments; plantation silviculture and management; forest plantation economics and international climate change policy; and conclusions. 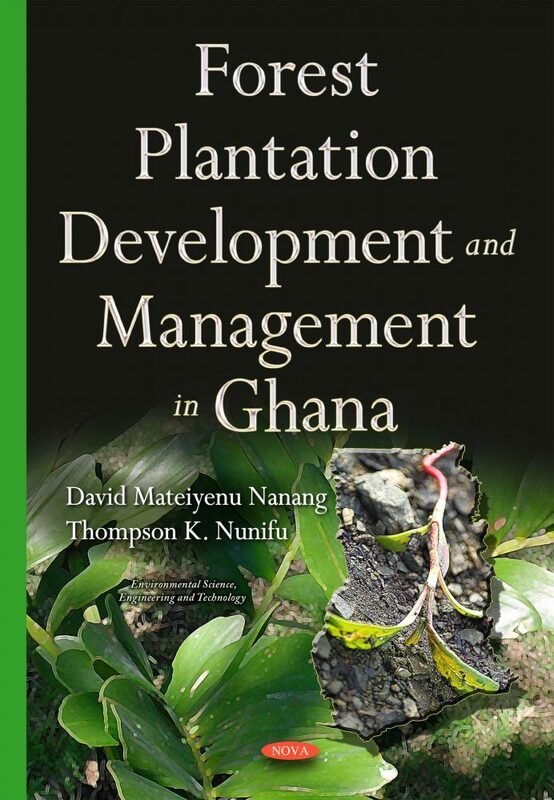 The introductory chapters provide the context for plantation development by highlighting the importance of Ghana’s forest resources and their current state, why plantations are a major part of the solution to present and future wood scarcity and the barriers, and opportunities and incentives for plantation development in Ghana. Part II of the book is dedicated to describing forest growth dynamics, forest measurements and forest resource inventory methods. Part III begins with descriptions of the critical silvics of six tree species that have been grown and /or promoted for forest plantation development in Ghana, followed by a chapter on plantation silviculture, including descriptions of seed collection, nursery practices and planting. The final chapter in Part III focuses on managing forest plantations for rural development and environmental protection. An important consideration in plantation establishment is the economics of forest plantations vis-à-vis other land uses. Part IV concentrates on the economics of plantations, and describes the tools and data requirements for carrying out economic analyses of plantation forestry investments, the alternative models for determining the optimal rotation age of plantations, and a final chapter on the economics of managing plantations within the context of international climate change policies. The concluding Part V contains two chapters. The first one describes the approaches to achieving sustainable forest management in Ghana and the final chapter discusses recommendations on the necessary conditions for accelerating plantation development in Ghana. The book is particularly appropriate for undergraduate courses in plantation forestry, forest mensuration, inventory, forest economics and rural development, though graduate students and other forestry practitioners and general interest readers would find the material as a very useful reference. Some of the content is beyond the undergraduate level, but this was intended to provide additional material for graduate students looking for guidance on research methods for either their course work or for their theses.